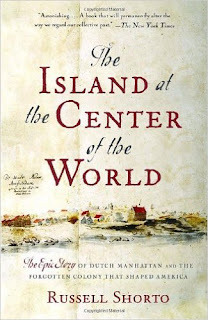 Over the summer you read The Island at the Center of the World by Russel Shorto. This book brings to light some things that were previously ignored in general narrative of American History. Below are the four video clips that need to be watched for HW before Tuesday's class for discussion. Use the sheet to guide your thinking as you watch. Video 1: Why don’t Americans know their own Dutch History? 1. Do you feel Shorto’s assessment of what Americans know about early American history is accurate? Explain. 2. Why has this period been left out of the historical narrative regarding American History and why are we looking at it now? Does this matter? Explain. Video 2: What’s left of New Amsterdam in Lower Manhattan? 1. What is the main idea of this video? 2. Write down 3 bullets of information that you think is important. 3. Write down 2 questions you may have about this video to share in class. Below is a link to the map that they use to point things out. Keep an eye out when you travel to NYC in October! 4. As A media student, what did you think of these videos as a vehicle for history? Design? Etc. Write down anything that comes to mind. Labels: New Netherlands, The island at the Center of the World. It is chastely agreement that puts any specific place at the center of a Mercator projection or other similar flat map. Things are decided so all the landmasses fit, if you will, online essay help UK provider but that has unconditionally no association to whatever other than our own favorites.